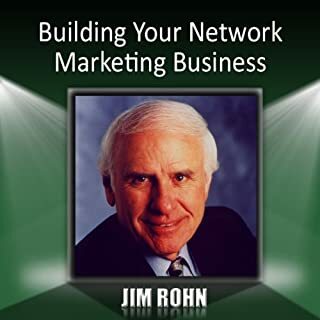 So, what is it about Jim Rohn that has made him so tremendously effective in teaching others how to become so massively successful? The answer is he has a unique way of helping you discover that you are so much more capable and powerful than you have ever imagined. Jim's own rise from rags to riches has been well documented and his list of students reads like a Who's Who of top achievers. Those who learn from him can become virtually unstoppable. Jim Rohn recognized that it takes longer for some people to flip on the "success switch" every person has inside them. He knew some people simply have it buried deeper inside. That's why his scope of personal and professional success material covers such a broad range of penetrating breakthrough concepts. He learned early on that every area of successful living had to be covered so he could help the largest group of people learn to create massive success in their lives. We all know people who have built a prosperous life and are enjoying the ongoing perks that go with that life. They have discovered that powerful spark, that switch, that success generator that lies within them...and they have used it to create a prosperous life they enjoy. The Ultimate Jim Rohn Library was created to help you do just that. Your mind is remarkable, powerful...even miraculous! We are proud and excited to announce a breakthrough body of work from this world-renowned success philosopher, teacher, and motivator. Nightingale-Conant has compiled and distilled his most thought-provoking, income-generating, and fulfillment-producing ideas into 10 remarkable, easy-to-listen-to-and-apply modules. It contains nothing short of his most impactful success-defining ideas and strategies and they can literally reshape your life, no matter how deeply buried your "success switch" is. If you're ready to flip the success switch within you, I strongly encourage you to explore this new step-by-step audio course that helps you mine the talents and skills within you. 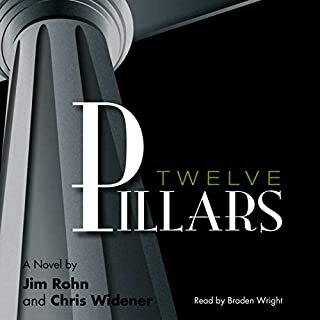 This collection of Jim Rohn speeches and readings is my number one go to audiobook for personal development and motivation. He covers the entire spectrum from "why you should" to "how to do". I think this book encompasses almost everything Jim Rohn ever taught in terms of personal development. I really enjoy listening to it over and over again because of its breadth and depth as well the passion and emotion conveyed in many of his live speeches included in this collection. If I had to describe this book in one word it would be: Priceless. If you could listen to only one audio book in the world, this should be it. 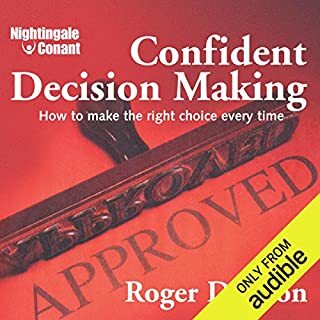 The concepts and ideas in this audiobook are transformative to anyone who is trying to get a plan, motivation, and discipline to accomplish their dreams. I applaud Mr Rohn's approach to personal development. He's the first one that has given so much importance to enjoying life, experiencing it and having a balanced approach to it. Brian Tracy had a long program that I really loved and motivated me to work on personal development. Jim like a very wise friend who has lived the good life and likes to share it with you with great detail as how to do it. This is a must-read/ listen for all at any age. It’s never too late to improve ourself. 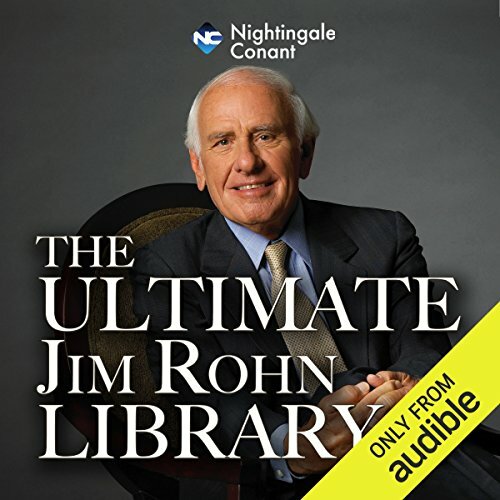 I found this audiobook to be an exhaustive collection of Mr. Jim Rohn’s valuable work. Not only will you find tips with concrete examples on how to be a better version of yourself, this will also provide you with great insight on the personal aspect of your life (interpersonal skills, friendships, family, role within local community). His speeches are enlightening full of relevant instances, funny anecdotes, historical references. Such a legacy, I’m grateful I’ve come across this. His tone and sense of humor are priceless! An original and timeless personal development advices and valuable strategies. Pro - even with similar content and substance, Jim said it best as no others could. Full with wisdom and strategy, this timeless advice is applicable to all walk of life, so practical that you can immediately put into use to change your attitude and life. The chapter on “lifestyle” is worth listening as it’s not the money that count, but a lifestyle. When it comes to simplifying complicated ideas, Jim is second to none. Thank you for a great book of wisdom. I recommend everyone listen to this one. Jim Rohn was introduced to me by my husband over YouTube videos. I was so enticed by his words and how he opened my mind to ideas on how I can be better. He definitely hits all the nails in the head! This book was something I was looking forward to and wanted to hear more of of his thoughts and ideas. Loved it so much I am ready to listen to it again. Loved it. Have listened 3 times now. Always find something new in there. Much of it isn’t rocket science, but he doesn’t suggest it is. Straight forward sound advice. Would recommend to anyone interested in self improvement. For me, the point about ‘not wishing for more, wishing to be better’ is a key takeaway. Classic stuff. Being someone who works in sales, marketing, networking and media it’s always high on the audible list to listen to some of the most recommended speakers in these fields. This has been by far the best for me personally. Jim’s laid back voice and approach to topics is refreshing whilst engaging. It allows you to visualise yourself using some of the traits and mindsets described. Definitely recommend to anyone wanting a positive insight into getting yourself on track and staying there. Inspiring, funny real life anecdotes, invaluable! 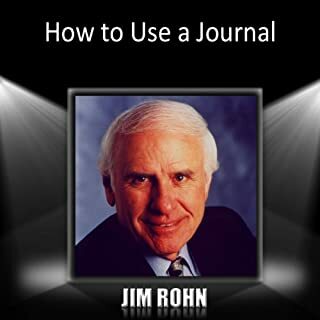 Its been wonderful to hear Mr Jim Rohn in the various scenarios, particularly when he's been in his element delivering a seminar, but also his personal conversational accounts about life and his experiences. There are so many insights he educates us about and motivates us to do something to improve our future and of those around us. Just as important are his cautions against influences and habits that will hold us back from realising our full potential and value in life. I love his strength of faith too, using insightful anecdotal stories from the life of Jesus, keeping things in perspective. I love his sense of humour. There is so much that makes sense, and this was an incredible listen. It was a marathon, but it was worth it just like any marathon. EPIC! This is well worth listening to, both for the content and for Jim’s enthusiasm. The lessons are simple but to the point and very valuable if implemented. What can I say about this book. The guy is an absolute legend. Definately worth the read. So logical. Amazing Audio except for the horrid music! The stupid music at intervals is really off putting & completely unnecessary! The chap the interrupts with his take in what Jim is saying is equally annoying! However worth the interruptions which are frustrating but can be fast forwarded in order to listen to Jim. Especially like Jim’s exercises that everyone can do. Gives excellent food for thought. Once I started, I could not stop listening to the wise words of Jim Rohn. Highly recommended. Very inspiring. This book will teach and you can't help but laugh and remember lots of sayings. Very inspiring and truthful. A must for everyone who wants to succeed. If I was to recommend just one Jim Rohn book to have in your audible collection it would definitely be this. but how can you have just one. A complete series truly expressing his philosophy, his way of thinking and has the power to change your life. 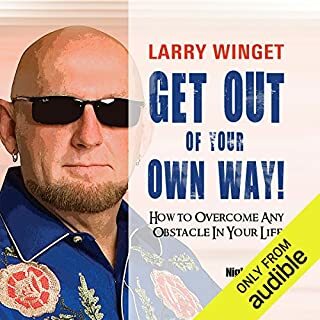 Couldn't recommend more this audio book. all the wisdom and perscepctive of one if not the best motivation speeker of all times. This book has helped and continue to help to turn things around and find success and enjoyment in life. Jim Rohn always has the right thing to say delivered to perfection. A must have. One of the best books I've read (heard)! Jim Rohn unpacks each aspect of character and works to build the best version of yourself. This requires more than one listening and I would suggest that it might be something you listen to a few times a week to make his widely sourced wisdom sink in. This is a treasure worth saving, revisiting and sharing with everyone you care about. Jim has passed on now but his wisdom, insight a guidance remains for generations to come. I have never heard or read better life advice so clearly communicated and immediately actionable. This is pure gold. This is a great collection of Jim Rohn's powerful lessons. Would highly recommend. Whether you are at the start of your journey of self-development or an expert learner, Jim's words will help you to get better. 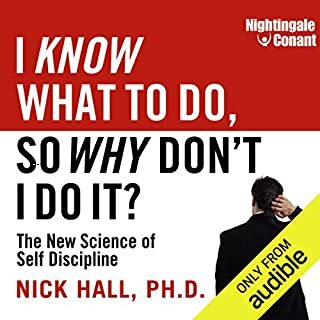 This audiobook is a treasure, to be listened over and over again, highly recommend for anyone on the path of constant improvement. A must read, listen and experience for all. Every day a new quote and life lesson from Jim Rohn is priceless for one to feel good and think better on how to make yourself and others more valuable towards life and business.